Frances Gulland is a Senior Scientist at The Marine Mammal Center (TMMC) in Sausalito, CA, and has served as the Director of Veterinary Services at TMMC since 1994. 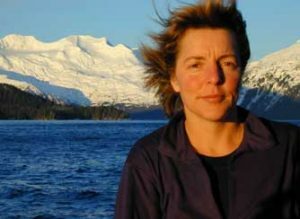 She has dedicated most of her career to researching pinnipeds, and has been actively involved in the veterinary care and rehabilitation of stranded marine mammals as well as researching marine mammal diseases since 1994. 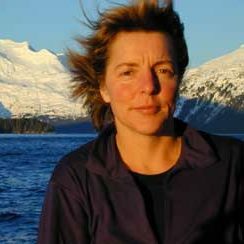 She is coeditor of the CRC Handbook of Marine Mammal Medicine, chaired the Working Group on Marine Mammal Unusual Mortality Events for six years, and is a member of the committee of scientific advisors to the Marine Mammal Commission. In 2011, after being nominated by President Barack Obama in 2010, she was sworn in to serve as one of three Commissioners at the U.S. Marine Mammal Commission, where she serves the federal government with a focus on the protection and conservation of marine mammals. We spoke with Frances Gulland, Senior Scientist at The Marine Mammal Center (TMMC) in Sausalito, CA about the sperm whale strandings that took place in North Sea earlier this year. From January-April, a total of 30 beached sperm whales were found along the shores of Northern Europe. In April, there was a noticeable amount of buzz online about these strandings, mainly in response to the release of the necropsy results of 13 whales that had beached in Germany. Schleswig-Holstein Wadden Sea National Park stated that 4 of those 13 whales had large amounts of plastic waste in their stomachs. This mention of plastics seemed to generate conflicting claims regarding what had caused these strandings. “I think it’s hard to say what causes a single stranding from reading the press” (01:10) Frances said. “The fact that they didn’t all stranded at the same time makes it less likely that they are what we think of as mass strandings that occur simultaneously with animals that follow a leader and wash up on a beach” (01:28). “In the U.S. we have a definition of a mass stranding, which is more than two animals that aren’t a mother/calf pair at the same time and the same place. That isn’t what’s happening here; these are in different countries, different beaches: Netherlands, France, Germany, Britain. So, they’re not technically a mass stranding, they’re just an increased number of dead animals” (04:08). There are a number of reasons sperm whales strand, one of which includes stomach impactions from ingested fishing gear. In a paper Frances co-authored in 2010, 2 sperm whales were found stranded off California with their stomachs impacted with fishing gear. Several other strandings have been reported in the Mediterranean off the coast of Italy, but they are often associated with morbillivirus, a common cause of death in cetaceans in the Mediterranean. “Without seeing a complete histopath report, it could be either single impaction cases or more of the morbillivirus cases that have been occurring in the Mediterranean. Those are two most likely causes” (03:30). While the discovery of plastics in these whales’ stomachs has allowed for attention-grabbing headlines, “drawing attention to the concern of garbage in the ocean is good, but whether or not it caused the actual death of the animal is unclear” (06:50). “Many animals I’ve examined will have a small amount of plastic in their stomachs just from ingesting material in the water column or off the seabed that’s not causing a problem” (05:46). However, in the case of the 2 sperm whales she examined in Jacobsen et al. 2010, “they had over 400 kilos of netting, rope, plastic bags, which completely obstructed their stomachs. In those cases they definitely were causing the problem” (06:17). Because whales are high trophic level predators, they tend to integrate changes in the environment and thus are good indicators of marine conditions. In addition to learning about the effects of plastics and discarded fishing gear, “we’ve seen whale deaths draw attention to climatic changes” (08:02). For example, a dramatic increase in gray whale strandings drew attention to a change in prey distribution in their summer feeding grounds that was caused by the 1998-99 El Nino. Whales washing ashore with fractured spines and skulls draw attention to the effects of increasing shipping traffic. Marine mammals seem more and more to be the preferred poster child for drawing attention to larger-scale environmental issues. If we’re using whale strandings as an avenue to generate discussion about marine plastics, we need to be careful the message is correct. “If we’re using them to deliver a message we do want to make sure that message is on point and not just alarmist or misinformation” (12:39).